After the flood the first purchases were made on the basis of the articles on the Public Procurement Law, and later according to the Law on eliminating consequences of floods. After atmosphere disturbances in May, the Commercial Sector of the Mining Basin “Kolubara” focused all of its activities on launching a number of procurements related to the eliminating consequences of this natural disaster, but it was done parallel with the realization of the regular Procurement plan provided for procurement of goods, services and works for 2014. – Owing to good cooperation with other parts of the company, all questions or possible ambiguities related to defining and specifying the necessity of procurements were resolved quickly and efficiently. On the basis of the Law on eliminating the consequences of floods in the Republic of Serbia, as well as the national reconstruction program, it is enabled to initiate procurements by considerably simplified procedure, which greatly facilitated the provision of all necessary goods and services – says Igor Smiljković, Assistant Director for commercial affairs of Mining Basin “Kolubara “. As he explains, the purchases are initiated immediately after the floods, on the basis of the Public Procurement Law articles, related to the provision of basic living conditions in the case of natural disasters or technical-technological accidents, whose consequences are threats to human life and health as well as environment. As it is well known, the largest open pit “Tamnava-West Field”, which gave half of the total coal production in RB “Kolubara”, turned into a lake that stretched across more than 15 square kilometers. Nine large excavators and numerous costly mining equipment, as well as parts of large machines, excavators and mobile transfer conveyors remained under water also in the open pit mine “Veliki Crljeni”. In order to establish minimum of production process and keep a power balance, the fast-track procedure were initiated for procurement of goods related to pumps and other parts and equipment necessary for rehabilitation of the system. In July, parallel to this procurements and after the adoption of amendments to the Plan of procurement of goods, services and works by which additional funds were granted the procurements were launched relating to the servicing of the bucket wheel excavator “SchRs 630″, self-propelled BW1 conveyor, belt conveyors CTC, as well as the equipment for the dewatering of the open pit “Veliki Crljeni”. The additional funds were also approved for the purchase of spare parts and servicing of the bucket wheel excavator, chain-and-bucket-excavator, mobile transfer conveyor, spreader and other machines in the open pit “Tamnava-West Field”. The procurement method was implemented at the EPS level for the pumping water services from the open pit “Tamnava-West Field”. The realization of this contract has been already in progress. – All employees realize how the procurement is important and the whole situation serious, so they do their best for the purchases to be carried out in the shortest possible time needed for the rehabilitation of all flooded machines and plants in the open pit “Tamnava-West Field”. Much of the work is done, but much more is waiting for us to be done – says the Assistant Director for commercial affairs, adding that the procurement plan for 2015 has been completed and submitted to the management in early December. 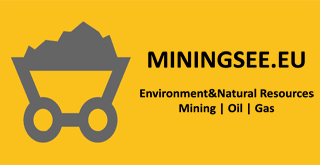 At the discretion of the authorities besides the Procurement Service, the Sales Department has also done their job professionally in spite of all the aggravating circumstances, in order to minimize negative sale effects of coal due to disturbance in the production.